What do you do when your archive burns down? 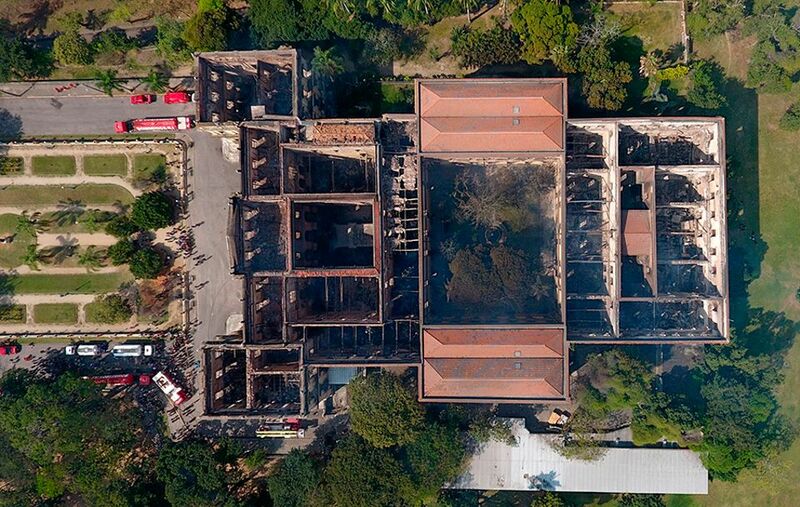 That is a question that I, as well as thousands of researchers in Brazil and across the globe, faced on 2 September, when Brazil’s Museu Nacional in Rio de Janeiro went up in flames. The largest national history museum in South and Central America, it housed more than 20 million items—more than double the size of the British Museum’s collection. The devastating losses, widely lamented in worldwide news coverage, include the 11,500-year-old skull of Luzia (the oldest human remains found in the Americas), Egyptian mummies, a dinosaur skeleton and countless indigenous artefacts, language recordings and cultural material. The environmentalist and presidential candidate Marina Silva called the fire a “lobotomy of Brazilian memory”. Officials have not yet determined the cause of the fire. Employees tell of a faulty electrical system in need of repair, and reports show that Michel Temer’s conservative government had slashed the museum’s budget. In the past few years, the institution received only 60% of its allotted funds. The 2017 budget of 444.5m reals ($1.85m) was nearly 150m reals less than the amount spent on espresso coffee and machines by the legislative Chamber of Deputies since February 2015. But the structural problems behind the fire go back much further than the past few years. The government had never fully renovated the building in its 200-year history, and museum employees had recognised major existential threats to the collections since the early 1990s. The institution did not even have a sprinkler system. I was there at the end of July to make use of the museum’s extensive historical archive, which housed the papers of 54 scientists and groups affiliated with the institution; I was finishing some research on Brazil’s most famous feminist and scientist, Bertha Lutz (1894-1975). I was there for just a few days, so I only took pictures of a small fraction of Lutz’s collection, telling myself that I could always come back—the archives were not going anywhere. One of the archivists told me that Lutz’s papers gave the impression that she never slept. If she was not writing and giving feminist speeches, she was travelling to international conferences. When she was not in her laboratory looking at a new species of frog, she was collecting specimens from across the globe. In her few moments of spare time, she wrote numerous letters to friends, colleagues and adversaries, describing her personal life (the death of a beloved dog or how the squirrels who lived in her garden were getting on), her professional career and her political opinions. Museum officials are now working to collect digital copies of documents from past researchers. This is crucial: we must recreate what we can. However, as a historian, I relish looking at the original document, carefully taking it out of the box, seeing the handwritten notes in the margins and the tea stain that marks the right-hand corner. On 2 September, that experience was burned.